During a calm sunrise early in the morning. 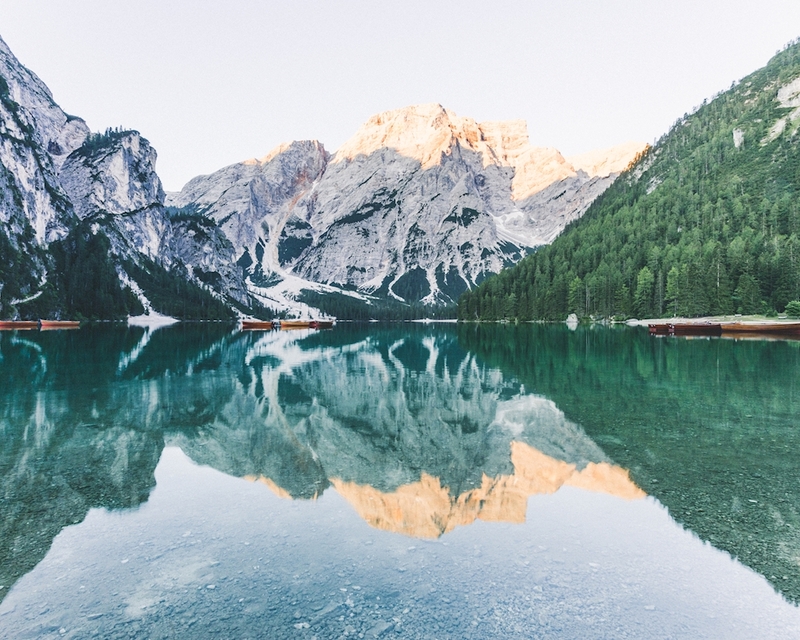 Pragser Wildsee is waking up, the first light hits the mountain top and the water of the lake stands perfectly still. A moment of peace and quite.